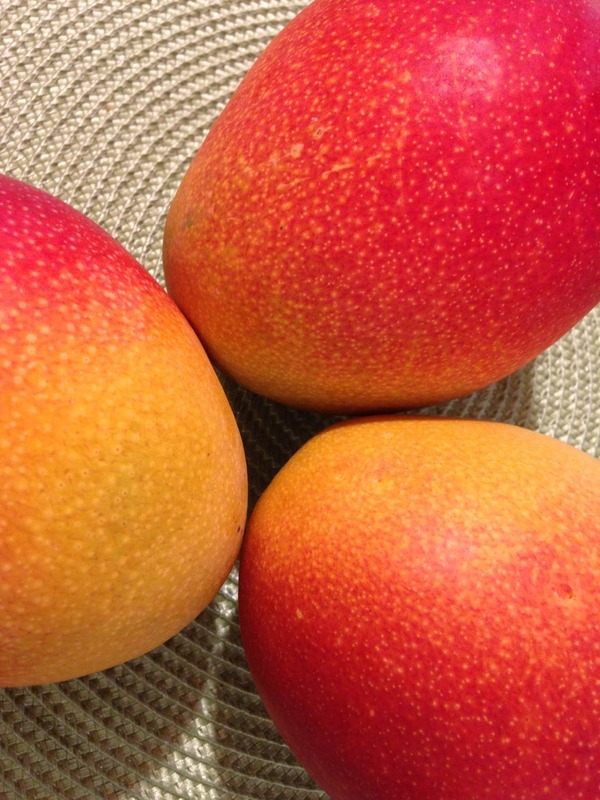 There’s no denying the deliciousness of a mango, but peeling and cutting it can be a hassle. Watch this video to learn a simple technique. Using the Y-shaped peeler, work your way around the mango, removing the skin. If the fruit is not quite ripe, keep peeling it away until the pulp is bright yellow. As you expose more pulp, use a paper towel to hold the peeled mango so it doesn’t slip out of your hand. Peel away the tips. Place the mango on the cutting board and find the side that seems the tallest—the pit will be sitting along that line. Holding the mango with a paper towel, position the chef’s knife, aiming it at the center of the fruit; you may need to adjust the angle of the knife if you find that you hit the pit. Slice the sides off the mango, avoiding the pit. Holding the fruit vertically, trim the remaining flesh off the pit. Finish the mango by slicing the pieces horizontally into smaller wedges.